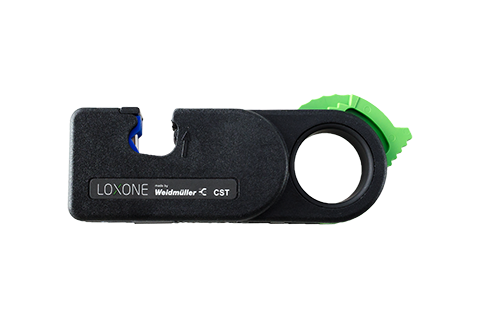 A must-have for Loxone professionals and fans: The Loxone Tool Kit by Weidmüller. 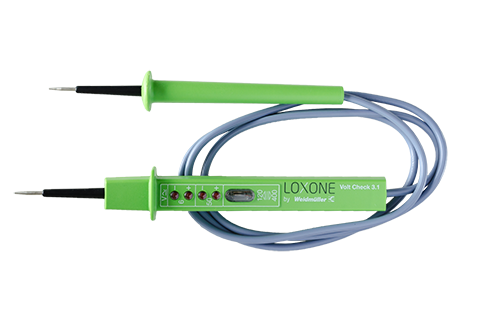 A collection of specially selected tools in the Loxone colours, this set contains everything you need for a successful Loxone Smart Home installation. 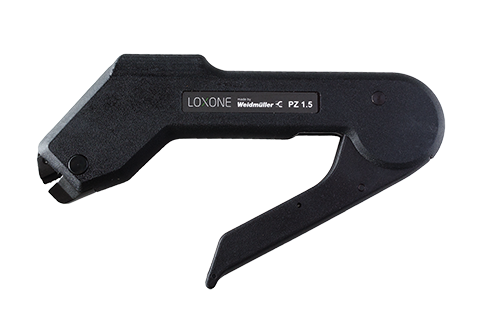 The one-handed cutting tool is suitable for conductors up to 20 mm outer diameter. 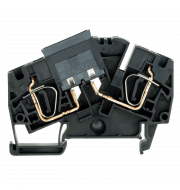 The special cutting geometry allows a pinch-free cutting of copper and aluminum conductors. The two-pole voltage tester with LCD display was developed in accordance with VDE standards (VDE 0411-031, EN 61010-031) and is characterised by high peak voltage strength. As a two-pole voltage tester notes this looseness and fulfilled as the only acceptable test instrument with the requirements of the OSH Act. The screwdriver with a blade width of 3.5 mm, blade length of 100mm and blade thickness of 0.6 mm is a VDE-insulated screwdriver for work on systems up to 1000V AC and 1500V DC, DIN EN60900, IEC900, is individually tested and carries the “Certified safety “label (GS). 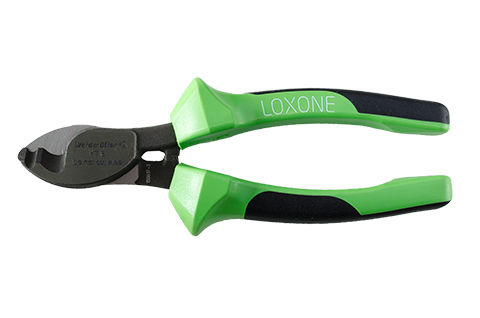 The blade is hardened, high-alloy chromium-vanadium-molybdenum steel with black oxide finish. This screwdriver has a blade width of 2.5 mm, blade length of 75 mm and thickness of 0.4 mm and an ergonomic handle. This makes for easy operation and quick wiring. 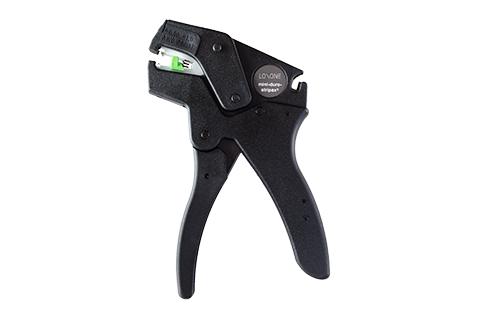 The crimping tool is suitable for ferrules with and without plastic collars and a crimping area of 0.14mm² to 1.5mm². 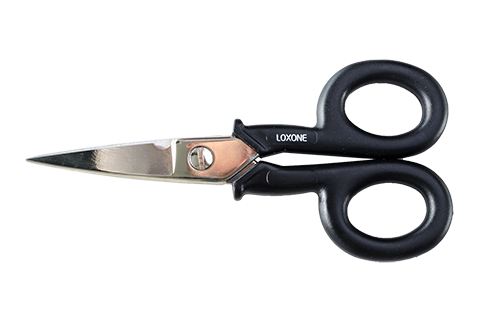 The electrician scissors with wire cutter is a multi-purpose scissors with handles made of impact-resistant polyamide and a smooth, high-gloss chromated cutting. 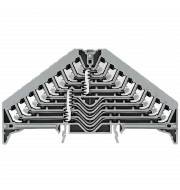 The mechanical drive and a specifically designed cutting edge shape reduce the amount of manual force to a minimum.